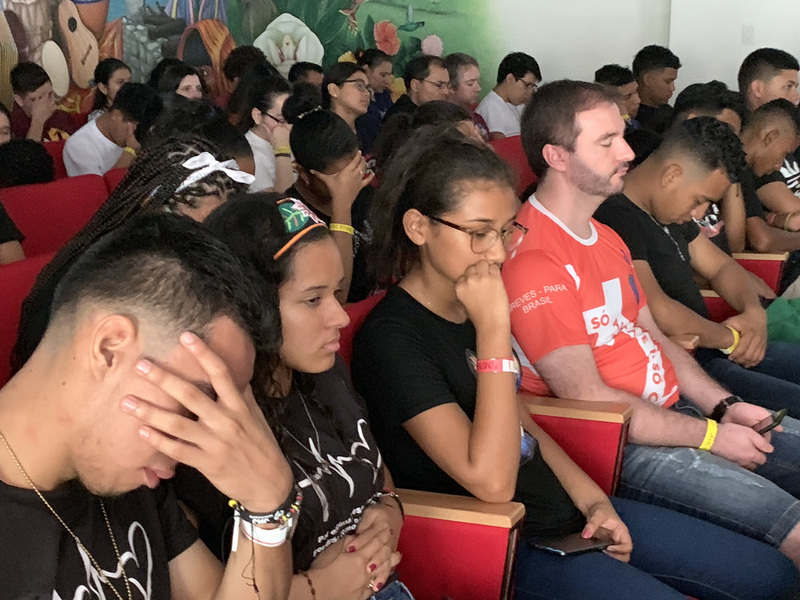 From January 18th to the 22nd, days before the World Youth Day in Panama City, the JAR members had their fourth encounter dedicated to formation and learning more about JAR spirituality, rest and enjoyment. 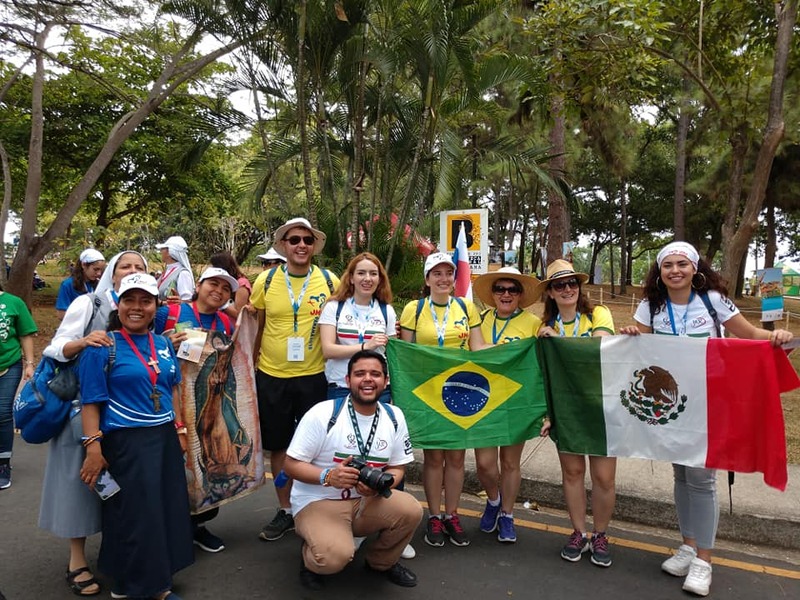 JAR is the Augustinian Recollect movement for youth, and they met days before the official World Youth Day with Pope Francis presiding different activities with youth from all over the world. 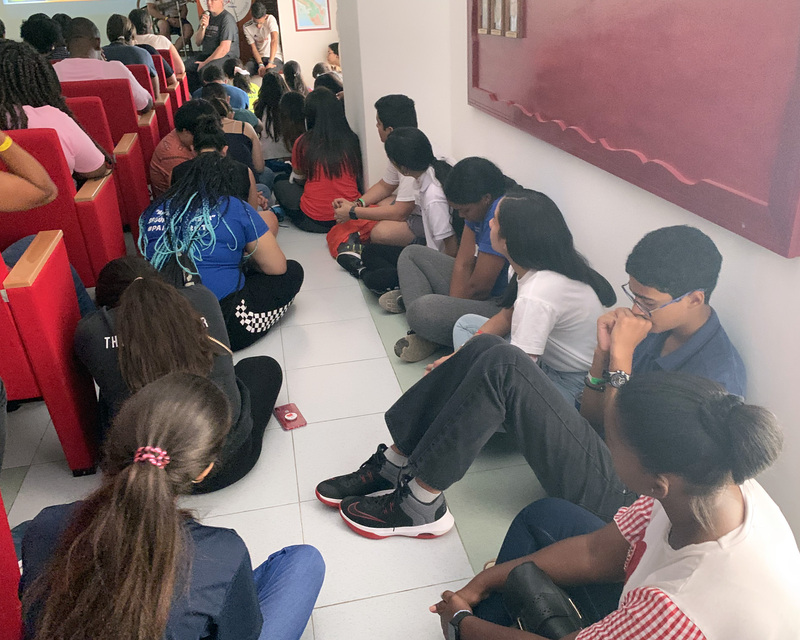 The Augustinian Recollect Youth Assembly (JMJAR2019) started Friday January 18th in the Augustinian Recollects’ school of St. Augustine in Panama City (Panama) with the presentation of the different delegations that came from other countries. 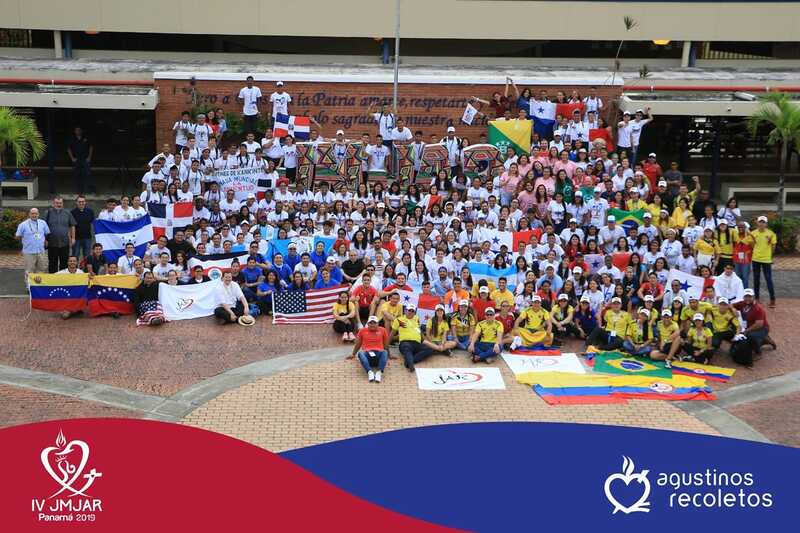 Representing the St. Nicholas Province, were youth from Mexico (and the largest of all the delegations), USA and Costa Rica. That same day, Ismael Xuruc, from our newly opened community in Cuba, spoke to the youth about being disciples-missionaries. Fr. General, Miguel Miró, presided the Holy Mass and invited the youth to be creators of unity in a society full of division; “dream and share your joy with others”. 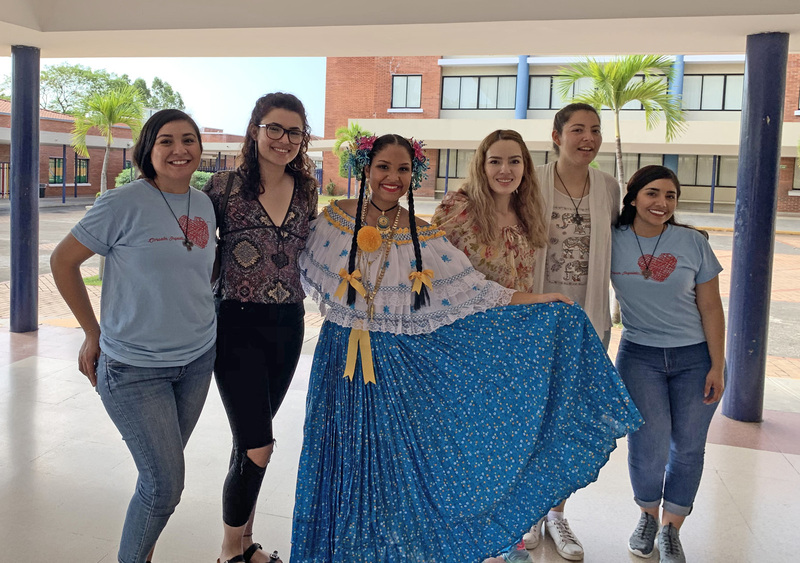 Each night the Festival of Nations was enlivened with typical dances, songs and much sharing of the different experiences the different youth groups have lived in their ongoing Augustinian Recollect spiritual process. 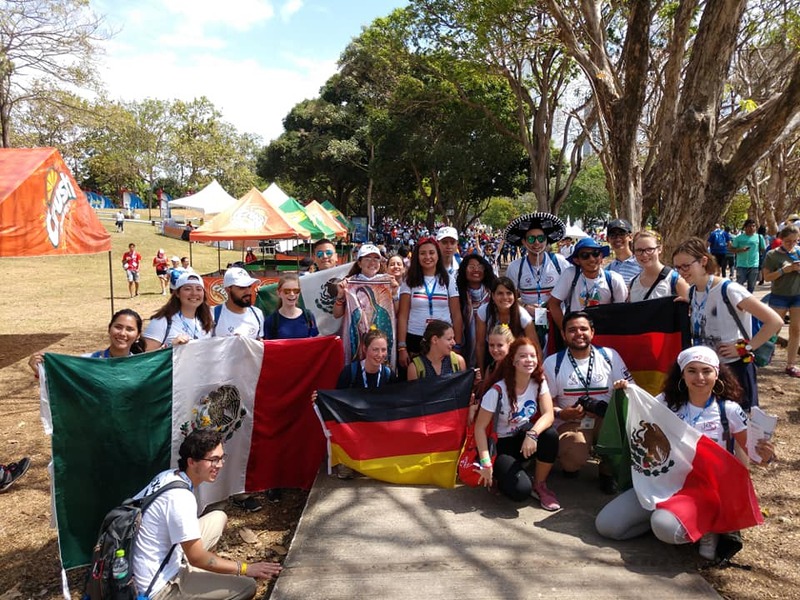 On the second day, after morning prayer was directed by JAR members of Argentina, a cultural visit was made around Panama City, with special visits to places where the Recollects made history. The church of St. Joseph with its golden altar was visited, then the stone church, parishes of St. John of Sales and St. Monica where the provincial of the province of Our Lady of Candelaria shared a very dynamic homily with the youth with the message of joy in an encounter with Christ and others. 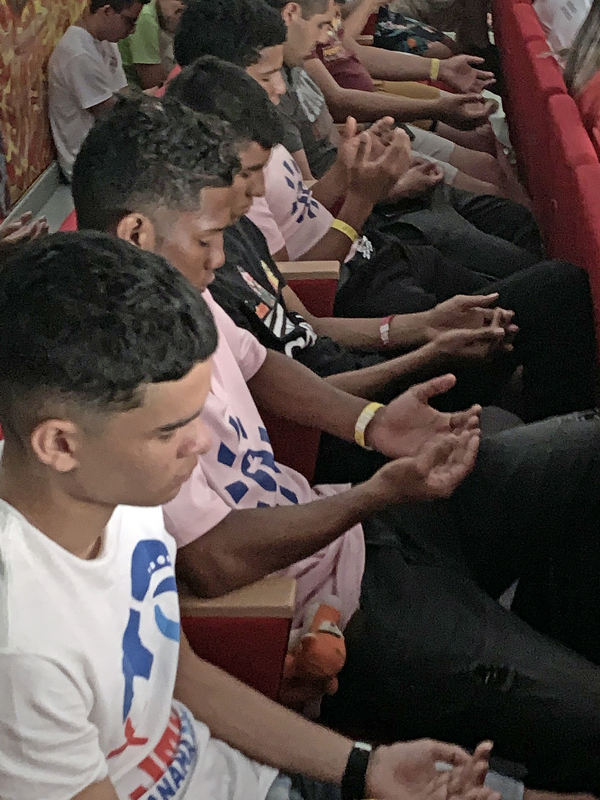 At night, a Holy Hour was prepared by the youth delegation of Brazil, this prayer included a moment to renovate their baptismal promises. 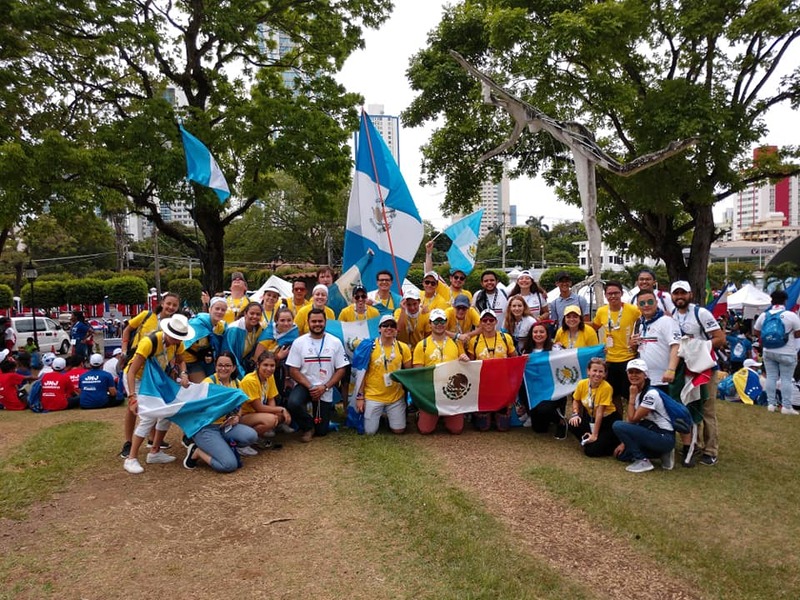 The youth from Mexico prepared the Marian prayer for the morning of the third day of the encounter, afterwards, different sports matches and song were organized by the youth delegation from Guatemala. Nicolas Vigo, Augustinian Recollect, shared the second catechesis which talked about leadership: “A leader encourages others to work, invites you to dream, keeps calm in times of trouble, fills you with passion, shows affection and interest in others, and because of his/her serious spirituality, a leader transmits peace and serenity”. Carlos Maria Dominguez spoke about the Augustinian Recollect Identity in the afternoon reminding the main characteristics of the JAR movement: Prayer, Community, Solidarity and Marian. The Eucharist was presided by the Augustinian Recollect Cardinal, Jose Luis Lacunza, of the Diocese of David. Again the topic of detachment and freedom to serve was considered in the Cardinal’s message; “and let God take control of all your existence”. The day ended with a prayer vigil with the music of Kairy Marquez. Ten Recollect friars offered their service in the “Forgiveness Park” to celebrate the sacrament of Reconciliation from 9 AM to 1 PM. 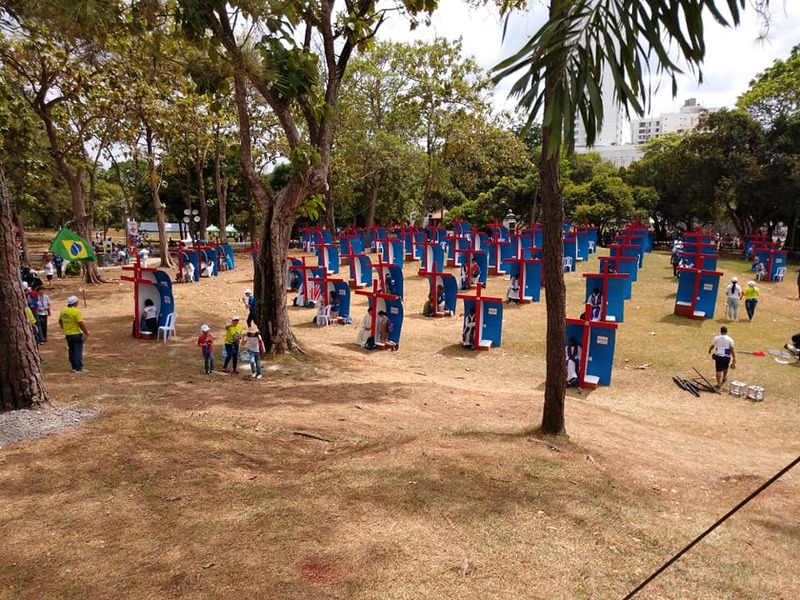 The Vocations Fair is also in that park where the Recollects have a booth. 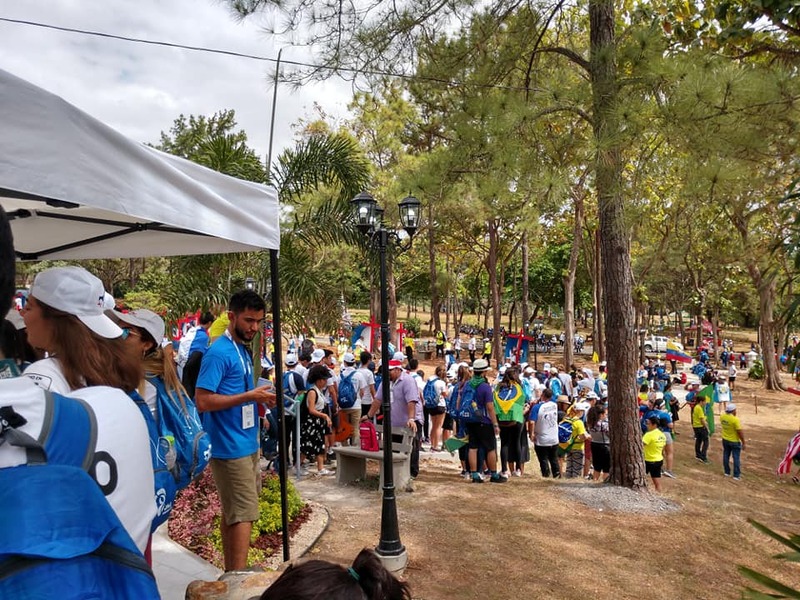 That afternoon, the JAR joined the JMJ2019 activities in the Holy Mass presided by Bishop Jose Doming Ulloa, who reminded the youth to be the leaders in the change society and the Church needs. 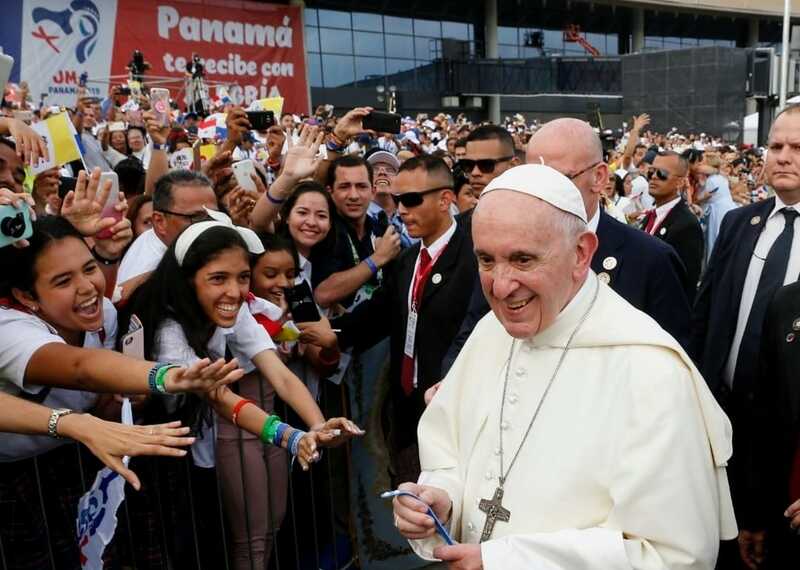 An interest episode occurred a few minutes after the Pope landed in Panama, one of the first gifts he received from an Augustinian Recollect Youth, Marianne Mathieu Pitty, was a JMJAR bracelet.